Eleuthero is one of my favorite adaptogenic herbs - it enhances mental focus and physical stamina without being too overstimulating and can be taken for longer periods of time than other adaptogens. It is great for folks of all ages and it is a plant that I recommend for folks who work odd hours (looking at your birthworkers) and night shifts to help with recovery. Eleuthero is, of course, great for athletes and I use it as part of my training tonic. Energetically, I find that Eleuthero helps us to re-connect to our inherent vitality and enhance all of our perceptive senses, from the audial to psychic. Want to learn more about Adaptogenic herbs and they're amazing healing qualities? Come learn with us! Cover with your choice of menstruum (whether alcohol or raw apple cider vinegar) and a dash of water in a glass jar with a tight fitting lid. Shake daily for a full cycle of the moon, decant, and enjoy! The dosage for the extract is 1 - 10 drops up to 3 times daily, while you can enjoy 3 - 4 cups of the tea daily. Enjoy! 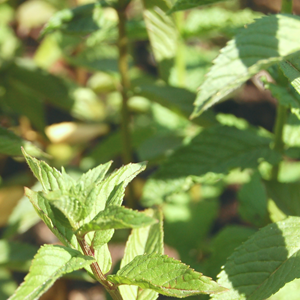 Want to learn more about Adaptogenic herbs? Click below!